After obtaining a Degree in Physics at the University of Rome La Sapienza (1976), Antonino Cattaneo undertook research in Neurobiology at Scuola Normale Superiore with Lamberto Maffei, working on the encoding of visual information by cells of the the visual cortex (1977-1980). 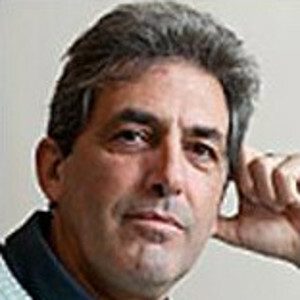 He then worked at the CNR Institute of Cell Biology with Rita Levi Montalcini and Pietro Calissano on the molecular mechanisms of neuronal differentiation by Nerve Growth Factor (1981-1984) and at the MRC Laboratory of Molecular Biology (Cambridge UK) (1985-1989) with Cesar Milstein and Michael Neuberger, where he demonstrated the experimental strategy of ectopical antibody expression targeted to different subcellular compartments, for protein interference in the nervous system and other biological systems. From 1991 he was Full Professor of Biophysics at the International School for Advanced Studies (SISSA) in Trieste, where as Head of the Biophysics Sector and Deputy Director he was involved in setting up from scratch SISSA Neuroscience Program. From 2004 he assisted Rita Levi-Montalcini in launching the European Brain Research Institute, for which he served as the Scientific Director, before joyning Scuola Normale Superiore in 2009. He is a member of the European Molecular Biology Organization (EMBO) and of the Accademia delle Scienze dei XL, has been a Visiting Fellow at Trinity College (University of Cambridge, UK) and has received many international awards for his research. He is the author of over 180 peer reviewed pubblications in international scientific journals and an inventor on several biotechnology patents, based on his research, all of which have been industrially exploited. His research led to i) the development of the intrabody protein silencing technology, ii) the discovery of proNGF/NGF imbalance as an unpstream driver mechanism for Alzheimer’s neurodegeneration, iii) the development of innovative neurotrophic factor based therapies for neurodegenerative diseases. Two humanized recombinant antibodies developed in his laboratory are currently under clinical testing in man. His current research aims at deciphering the molecular and cellular mechanisms that lead to neurodegeneration, at studying protein misfolding in living cells and at identifying new targets for the development of new therapies for neurodegenerative diseases (most notably Alzheimer’s disease), based on these mechanisms. A strong interest in his research is dedicated to the development of new technologies and experimental strategies for intefering with protein function in living neurons in a spatially and temporally precise fashion (intrabodies). More details in BioSNS Laboratory.